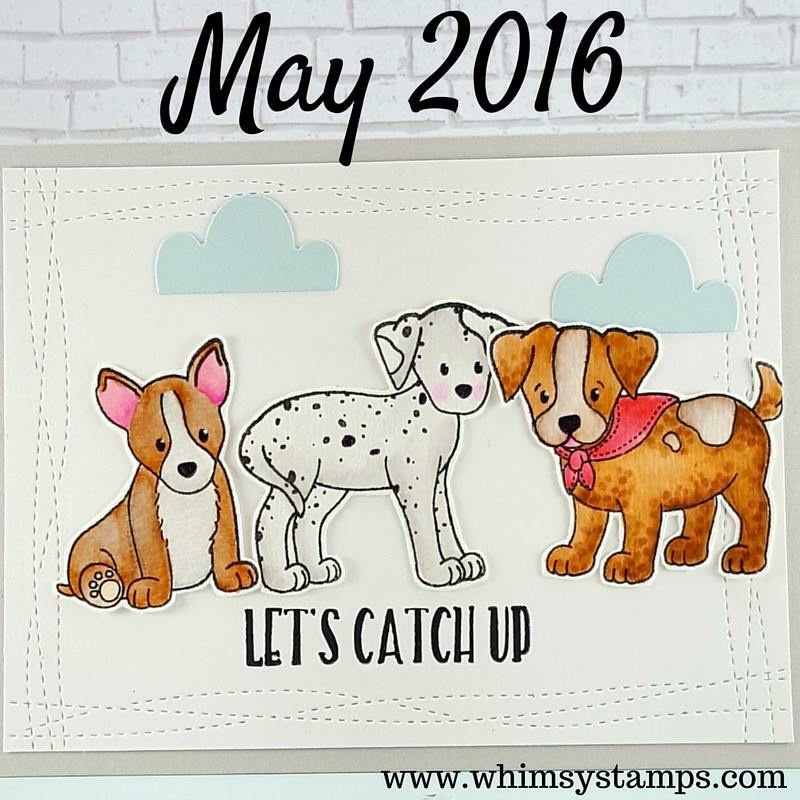 Welcome back to day 3, as we review the newest Whimsy release! 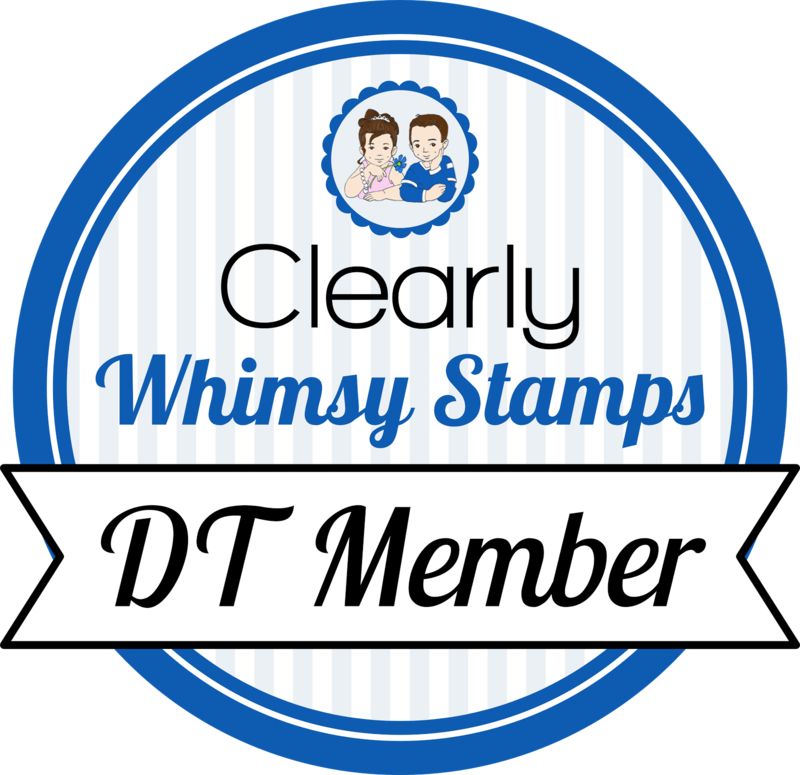 New products will be available to purchase at 9am EST today, so go check out all the details on the Whimsy blog and then visit Whimsy Stamps. I started by watercoloring some lime and turquoise on a watercolor panel, dried it, and stamped the leaves in gray ink and the sentiment in black. 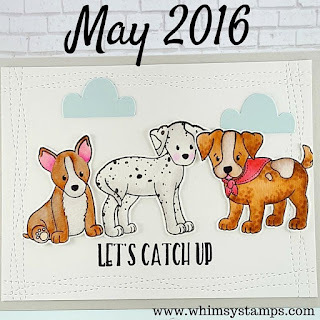 And here is Punny Messages again, along with Get In Line. I stamped some stripes on a lime green base, then stamped the whales, colored them, and added a sentiment to a white panel. That's it, easy cards today! More fantastic cards. I love the 'Happy Mail' sentiment. It looks fairly large. Super cute whale as well.